Festo has launched the Festo Support Community, a new online technical forum which gives customers quick and easy access to its experts, as well as enabling them to interact with each other, to find the best solutions to their automation and machine building problems. 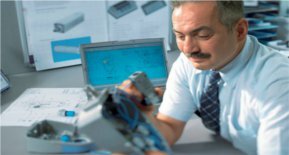 Festo is constantly looking for initiatives to help its customers and this easy-to-use forum is an effective way to interact with them, and provide better support. After a simple registration process, customers can post technical questions online and respond to other users’ queries to share best practice (existing topics, posts and replies can be viewed without registering).